My principal goal since Metro first proposed their transit solution plan in 2003 is to protect the taxpayers from an unrealistic expansion plan that would bankrupt Houston Metro and leave the taxpayers responsible for bailing them out. I was very pleased to learn that FTA shares my concerns and that approval of the federal grants announced today was based on a scaled back expansion plan that includes only the locally funded Harrisburg line (East End), and the two federally funded lines (the Southeast and North lines). I am pleased that the FTA recognized the financial challenges in building the entire Metro Solutions Plan. 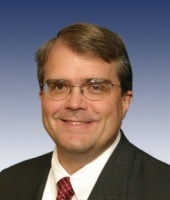 In an ongoing effort to ensure that Houston Metro complies with federal regulations and guidelines, Congressman Culberson recently met with the Federal Transit Authority (FTA) to review their grant application criteria and Metro’s most recent application for $900M in Full Federal Grant Agreement (FFGA). The FTA stated that in their analysis of the entire Metro Solutions Plan that Metro would be “financially challenged” if they attempt to construct the entire plan and do not remove out-year projects from their long-term expansion plans. The current grant application was based only on the expansion of the Southeast Line and North Line. Additionally, Metro Chairman George Greanias stated in a letter confirming that the FTA’s decision to award the FFGA was based on a scenario that assumed “no University and no Uptown line, and ridership generated only by the current Main Street, North, Southeast and East End Lines.